Anomet supplies the highest quality reflectors in the world, in partnership with Jordan Reflektoren GmbH & co KG – who employ the most advanced, up-to-date technology for optimal light output. Anomet supports all leading LED lighting concepts offering increased efficiency, high intensities, harmonic lighting distribution, optimized glare control and controlled colours. Manufactured in Germany, Jordan supports all leading LED lighting concepts offering increased efficiency, high intensities, harmonic lighting distribution, optimized glare control and controlled colours. If a custom solution is what you need, our team of passionate and expertly trained engineers can develop a uniquely branded reflector to your specifications – it’s so easy. With decades of light sheet fabrication experience, top quality tooling and equipment we can provide the most technologically advanced optics available. Complex development or simple manufacturing of your design – we can do it all! Anomet’s sales and technical support staff will guide you through the entire reflector selection process or assist with your custom development, working with you to provide the best optics for your application. Based on your proprietary design, Anomet’s team of expert engineers use precise tooling & equipment, decades of lighting sheet fabrication experience and a genuine passion for optimized reflector performance to quickly and expertly provide the most unique segmented optics available. Anomet’s exceptionally knowledgeable staff is here to assist you with all your custom reflector design needs. We will work with you, guiding you through the process to develop your ideal reflector and optimize your optics. 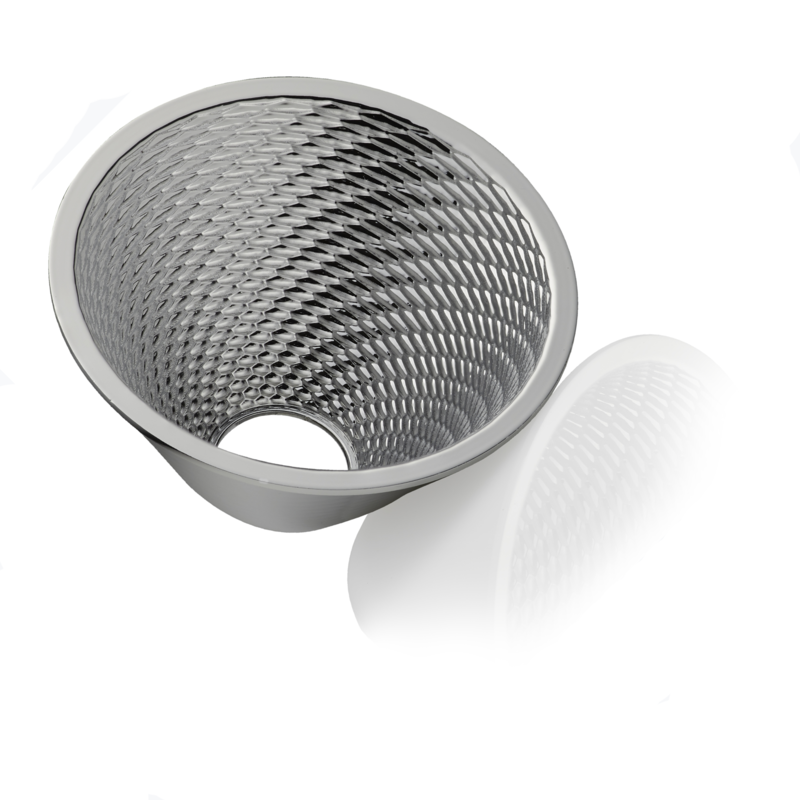 Premium equipment, leading edge technology and expert manufacturing processes allow Anomet to produce even the most exotic custom reflectors that you may need with S.M.A.R.T. Optics®. Segmented reflectors provide an infinite number of design options. Utilizing the same Jordan Reflektoren engineering, segmented LED Maxilux® reflectors are available in all types of shapes, surface finishes and configurations. 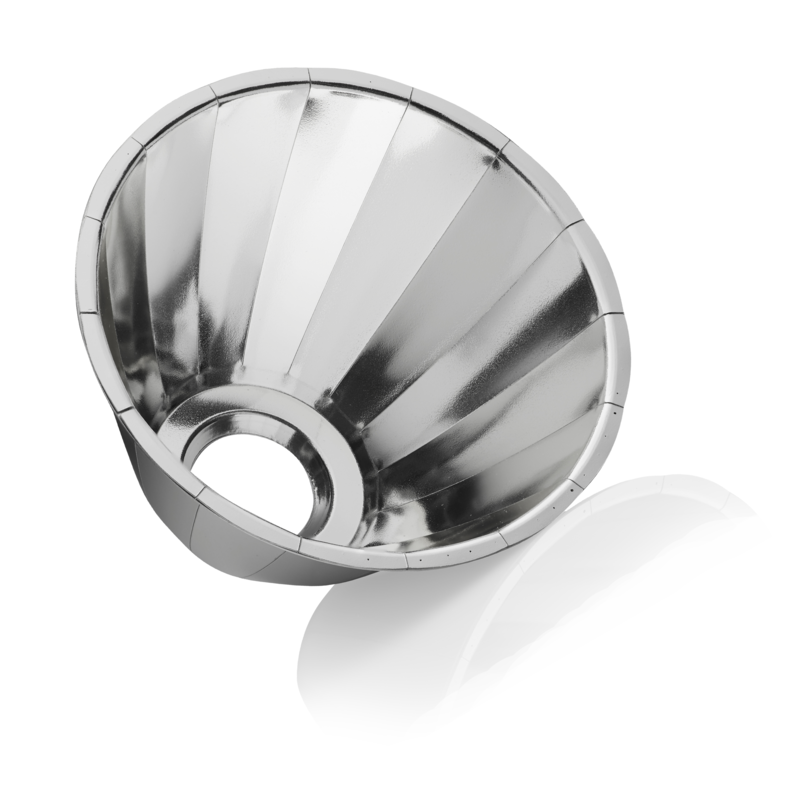 Segmented reflectors provide an incredible lighting solution, uniquely designed for your optical needs. 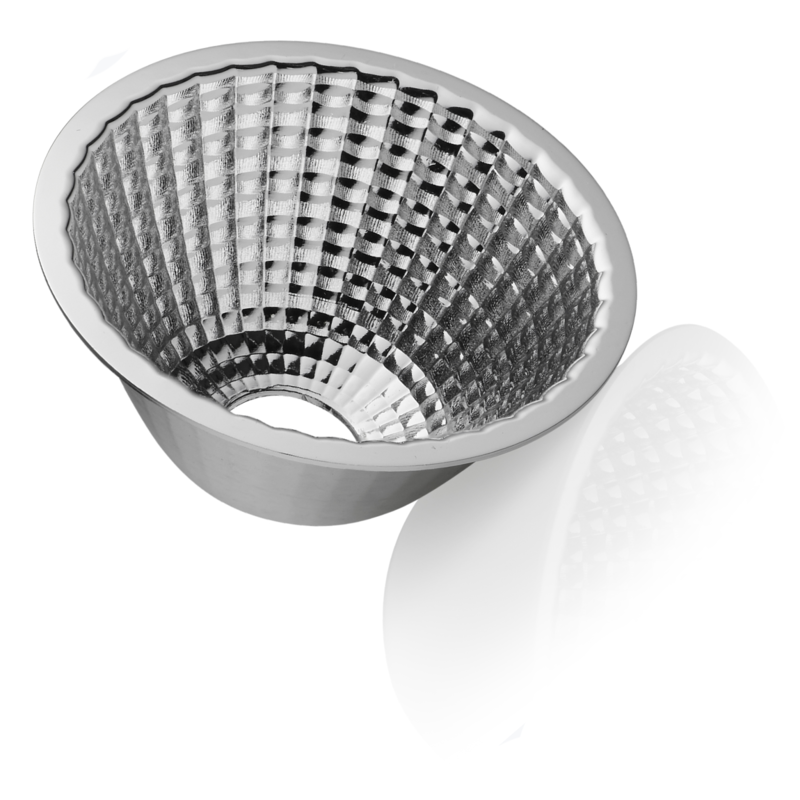 Our team of experts at Jordan Reflektoren can easily tailor your segmented LED reflector with enhanced design technology. Making sharp bends, parabolic arcs and detailed shapes easy for our team of professionals. You can be assured that your reflector will perfectly fit the shape, style and optical requirements for your project, producing a wide variety of options for perfectly targeted lighting and area lighting every time. Regardless of the shape and design of your segmented reflector, using Anolux-MIRO and Anolux MIRO-Silver surfaces finishes, you are guaranteed to achieve harmonic light distribution with no colour interference. Our segmented LED Maxilux® reflectors provide the same high quality optics and efficiencies as all our reflective products. Allow Jordan’s team of engineers to design a one of a kind branded reflector that shines with the very best quality optics. Anomet’s sales and technical support will guide you through the reflector selection process and assist with your custom development – working with you, to provide the best optics for your application.